Fenway Cantina had been open for business for approximately 45 minutes by the time Nacho Patrol strolled in to nosh some newbie nachos. Some might say we’re a little trigger happy, but the prospect of sampling yet another Fenway/Boylston area Tex-Mex joint could not be passed by. Sure, it smelled a little bit like paint and a few things on the menu weren’t yet available, but for the most part we were pleasantly surprised by the atmosphere. The liquor selection also looks promising: a smorgasbord of interesting beers on tap and some delicious-sounding variations on mojitos and margaritas. It needs to be lived in a little, and we probably aren’t going to come back without substantial incentive, but Fenway Cantina has promise: this most definitely applies to the nachos. 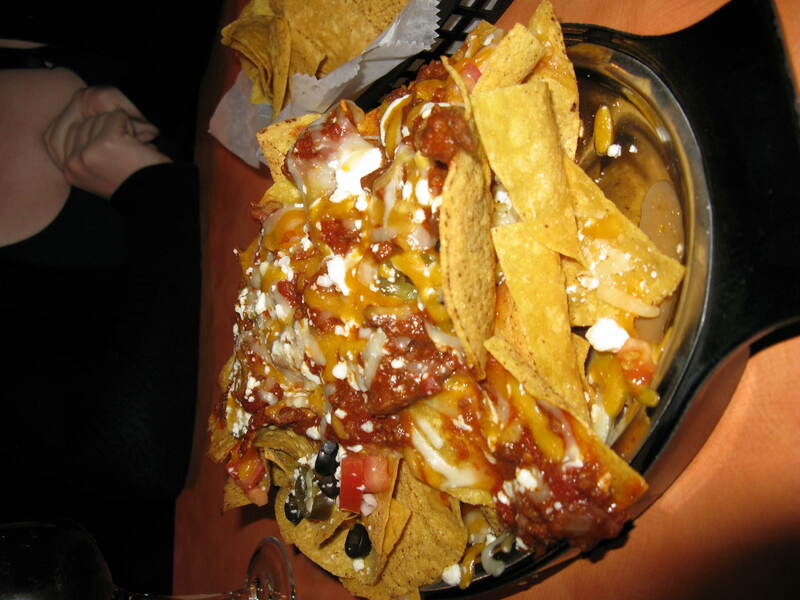 Appearance: (7) Ooey gooey, but we could already see copious naked chips poking out from the blanket of chili and cheese. Also, a little lacking in green…we don’t know if they had guacamole available, but we could have used some. Quality of Ingredients: (7) The chips, while structurally high-quality, were very unevenly salted, alternately bland and tongue-burning. The chili was good and meaty, and we especially loved the salsa, which was fresh-made and delicious. The inclusion of black olives won some important bonus points. Distribution of Toppings: (6) We made ample use of the salsa that came with our free basket of chips, as there was not enough topping to go around. Cheese was also woefully sparse. Price: (6) $12 with chili…a shame, but par for the course for this area in this day and age. Overall: 26. We’ll go for the other food on the menu before we try the nachos again.